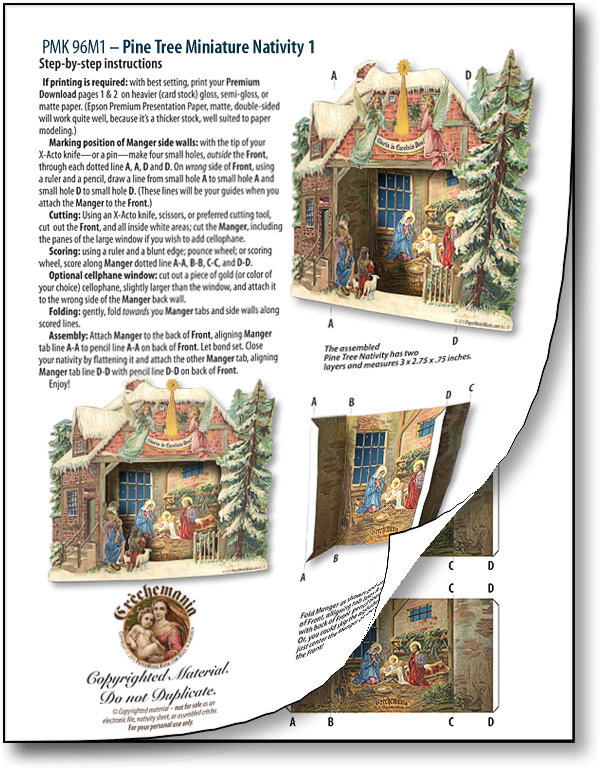 The Pine Tree Miniature Nativity 1 contains three 3 x 2.75 x .75 ornaments and includes a step-by-step instructions PDF. One 8.5 x 11 quality page printed on professional paper with fade-resistant inks to create the Pine Tree Miniature Nativity 1. A step-by-step instructions PDF is included, but you won't need it: just fold and attach the manger to the wrong side of the front. Size: 3 x 2.75 x 0.75 inches.